The contents of that despatch-box at Cox and Co sound like something out of the X-Files, writes Charlotte Anne Walters. Watson begins this story by telling us about his despatch-box hidden in the vaults of Cox and Co bank crammed full of records of curious cases. They seem to be of a mysterious nature, almost supernatural – perhaps linking in with Doyle’s growing interest in spiritualism. We hear of Mr James Phillimore who goes back into his house for an umbrella and disappears, the ship which sails into a patch of mist from which it never emerges, and poor Mr Persano who was found ‘Stark-staring mad with a matchbox in front of him which contained a remarkable worm, said to be unknown to science’. Enough there to keep Moulder and Scully busy for some time. In this case, the American bullies his wife and staff. The poor wife has lost the love of her husband, as well as her looks, and now has to watch him fawning all over the pretty young governess who has captured his heart. She contrives to kill herself and ensure that her rival is blamed for the crime. She ties a heavy stone to a revolver and dangles this over the bridge so that it will be pulled into the water the instant she pulls the trigger. An identical gun with a cartridge missing has already been hidden in the young woman’s wardrobe. A note in the governess’s handwriting arranging to meet on the bridge further compounds the case against her and all is set for the vengeful wife to get exactly the result she wanted. 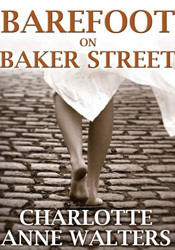 But as with the Boscombe Valley Mystery, which I always confuse with this story for some reason, Holmes is able to save an innocent person despite all the evidence against them. I really enjoyed re-visiting this story and I do think that the outcome is one of the best twists to any of the short stories. Things are very well-set up to make you think that the husband is guilty or perhaps the governess in some form of self defence so the actual truth is quite a revelation. 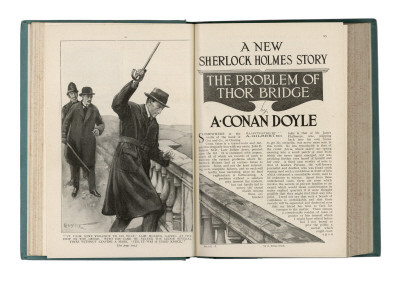 Holmes is on great form noticing the mark in the stone work of the bridge which turns out to be the key to the whole mystery. Observation at its best, the science of deduction clearly at work. A well-deserved 9 out of 10. 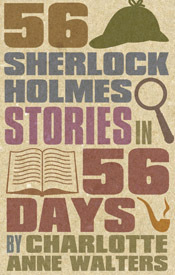 This entry was posted in 56 Sherlock Holmes stories in 56 days. Bookmark the permalink. I think this is one of my top five favorites (ok, maybe top 6), because it is so clever, and because no one is clean here; the American, the wife and the governess are all a mess, which makes this one more emotionally complex than some of the other stories. I’ve always liked the mention of James Phillemore, his umbrella, and his strange disappearance. I’ve read of couple of pastiches that tried this one out, but neither of them were entirely satisfying. It was awesome to see the BBC Sherlock crew use it in “A Study in Pink.” I tried to tell my husband about it, but he shushed me and hit rewind so he wouldn’t miss anything.